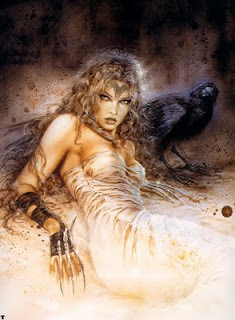 Allow me to introduce you to Luis Royo. His work is based around the Sci-Fi / Fantasy theme, and he has some very impressive pieces in his portfolio, although some are verging on the . . . how can I say this . . . rather rude side. But if someone can take a naked woman, put her in a box and call it art, then these can easily pass too . . .